Travel to Switzerland, the country that has it all. Land of lakes (there are over 1,500) and alps, the landscape is nothing short of spectacular, and the reality is even more beautiful than you can imagine. Crystal clear waters, snow-capped mountains, miles of terraced vineyards - the natural beauty of Switzerland is hard to match. The pristine cities combine this picturesque nature with high culture, a combination rarely found elsewhere. Beyond the stereotypes of fondue, chocolate and watches, the Swiss know how to live! 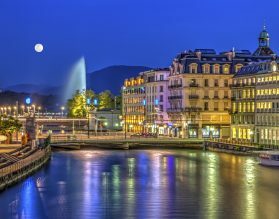 With both Geneva and Zurich consistently being rated as the most live-able cities in the world, the high standard of living is evident where ever you travel in Switzerland. 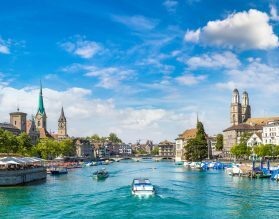 Switzerland offers excellent hotels and efficient trains, connecting both the key cities, and also with Switzerland’s neighboring countries Germany, France, Austria and Italy, making it easy to get from one place to another. Switzerland has no less than 116 Michelin starred restaurants, and over 900 rated Michelin restaurants. Traditional Swiss specialities such as raclette, combine with innovative modern cooking and influences from around the globe. Truly a foodie’s paradise! 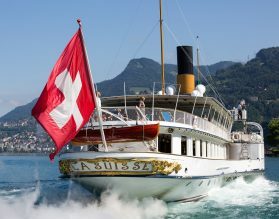 Culturally, Switzerland has some of Europe’s greatest art collections from the The Kunthaus in Zurich to the Fondation Beyeler in Basel and the The Sammlung Rosengart in Lucerne. 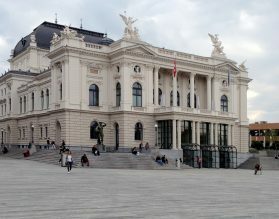 Music lovers will not want to miss the state of the art KKL Cultural Center in Lucerne. 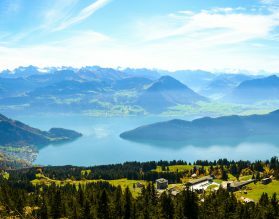 If you are looking for great food and wine, extraordinary scenery, beautiful hotels, and fine arts, Switzerland has it all! Early spring is beautiful, when the country emerges from winter and before the crowds descend upon this petite landlocked nation. Winter is also a majestic season to visit for Christmas Markets. 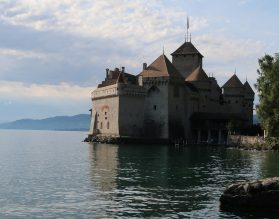 Our team of travel experts can customize a unique program for you based on our Essential Switzerland program. We recommend spending a minimum of six nights in Switzerland. Where to Travel in Switzerland? 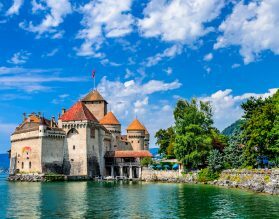 Geneva, Lucerne and Zurich are great bases to stay in and take day trips to Zermatt, Basel, Montreux, Lausanne and Interlaken. There are also numerous options for day trips from these to wineries, cheese farms, exceptional hikes, and even relaxing spas, just to name a few. With Switzerland’s extensive rail network, we suggest exploring some of Switzerland’s most breath taking landscapes and towns by train. The Golden Pass train, the St. Bernard Express, the Mont-Blanc Express and the Glacier Express will take you through some of Switzerland’s most dramatic and panoramic landscapes. No matter which region or canton you are visiting in Switzerland, we encourage you to jump on a train, even if just for one day, to truly expertise the beauty of Switzerland from the comfort of your carriage. 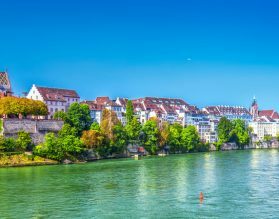 If you are on a Rhine river cruise, chances are you may be embarking or disembarking in Basel. We can arrange a private pre/post cruise extension with your own Exeter hand-picked private guide to experience the city and surrounding countryside has to offer, before or after your cruise. Our private pre or post cruise extensions ensure that you’ll receive not only the best experience possible, but personalized service throughout, allowing you to maximize your time in the city. 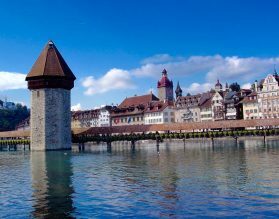 Why not pick up a car in Basel, or hop on a train and extend your Swiss adventures to Lucerne, Zurich, Geneva, Lausanne, Interlaken, or Zermatt, just to name a few! Switzerland combines exceptionally well with Germany, Austria and Amsterdam. Road and rail connections between the Central European cities and capitals are excellent, or we can arrange for a private car and driver. For the ultimate independence you can choose to self-drive, and we will arrange for you to meet your guides in each destination. 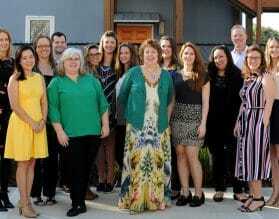 Silvia & Lori are our Swiss specialists, and know Switzerland inside out. Let them plan your trip to Switzerland and make it extraordinary. Our knowledge is hard to match – from the personally vetted restaurant to the very best hand-selected guides; we offer incredible value and completely customized trip planning. 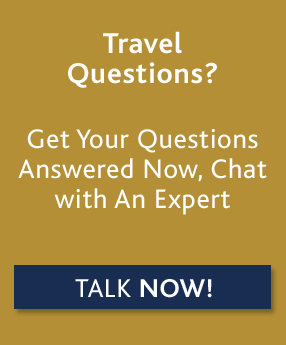 For custom luxury travel and tours to Switzerland, please contact one of our travel experts.